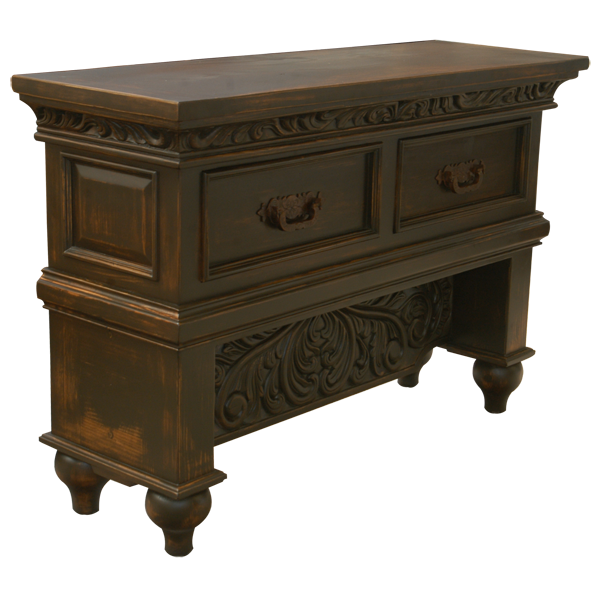 This magnificent, handcrafted end table is an example of the exquisite, hand carving abilities of our skilled craftsmen. 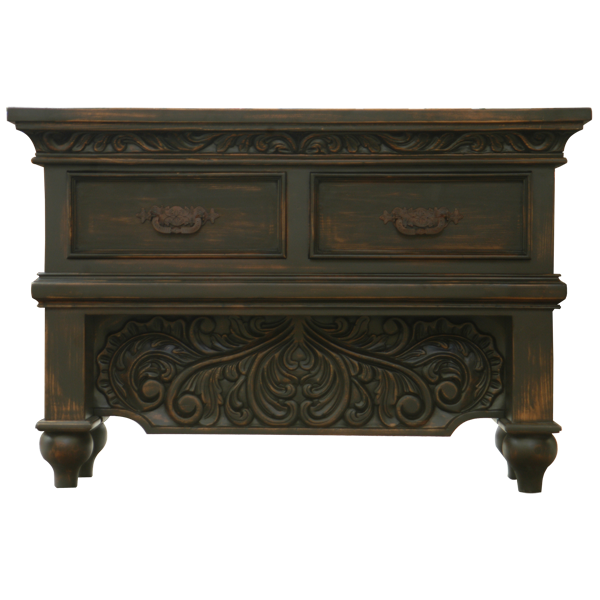 All sides of the skirt, located directly below the top of the end table, are hand carved with ornate, floral designs. Additionally, the lower frieze is embellished with fabulous, hand carved, floral designs. 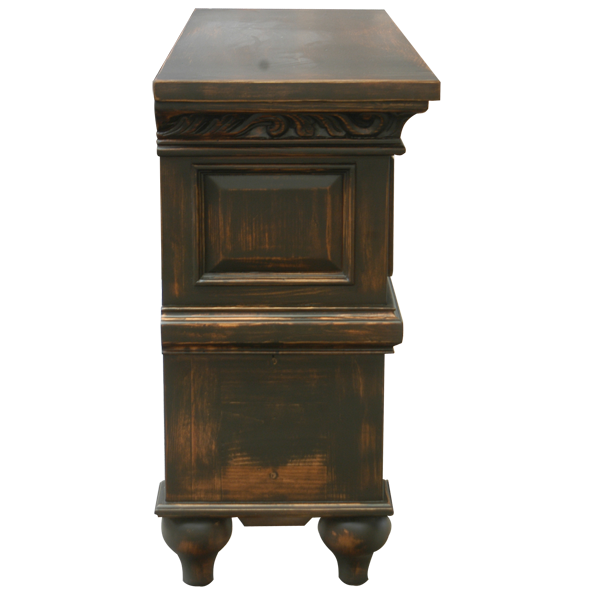 The top of the end table is beautifully finished, and each side of the end table has a decorative panel. The end table has two spacious drawers for extra storage, and the hand forged, iron pulls on the drawers are made in our factory by our skilled craftsmen. The end table rest on wood turned, bun style, tapered feet. Both beautiful and durable, this custom furniture is made with the best, sustainable, solid wood available. It is 100% customizable.